Getting the design right on your website is key for the user experience. All our designs are done with the user in mind and are fully responsive meaning they will work well on both computers and mobile devices. We ensure that we understand your business and that the website design helps to fulfil the desired goals. We also offer graphic design – we can assist with a creating a logo for your business to designing business cards or leaflets. In addition, we do photography (internal business shots through to landscapes), animations and video editing. We build many of our websites in WordPress. This platform has a number of advantages including functionality to let you easily update and add content, as well as many plugins and themes – these save time (and thus cost) on the website build. We also have experience with other CMSs such as DotNetNuke and handcrafted HTML & CSS. 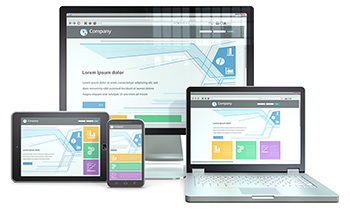 On every website we build we do through testing on all the major browsers and mobile devices to ensure compatibility. When building the website, we also ensure it is as optimised as possible – both for search engine optimisation (SEO) and for speed. We also ensure that the sites we develop comply with relevant regulations (such as GDPR) and that security is prioritised. 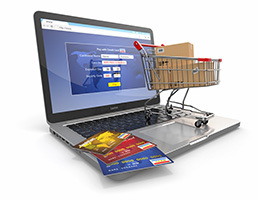 Buying products and services online is ever increasing and E-Commerce websites are increasingly popular. We utilise the WooCommerce and WordPress combination for many sites as it is a time and cost-efficient way to develop the site. 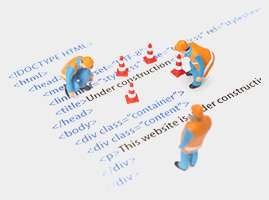 Where requirements are unique, we develop bespoke sites. A common choice for E-Commerce websites is that WooCommerce WordPress plugin, which we have experience in. Paypal and Stripe are popular choices for taking card payments and we can also work with other providers. 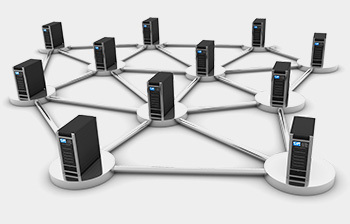 We also develop bespoke web-based systems which are tailored to your exact requirements. As part of our systems analysis and consultancy service we will review your requirements and determine if a 100% bespoke software system is really required, or whether off-the-shelf systems exist or a combination. Our preferred technology for these types of systems is Microsoft .NET with SQL Server, but we also work with PHP and MySQL. These systems often include an accompanying mobile app. Once your website is built, the story doesn’t end there. We offer reliable hosting, domain registration and email services using leading suppliers including Microsoft Azure and Rackspace. We can also help you with social media and paid digital marketing. In addition, we are here to support you and assist with future amends, improvements and optimisations (including SEO) for your website. We do this on an ad-hoc basis and also offer packages to ensure your website is performing as best as it can on a continual basis.